The spread of seasonal influenza strains, pneumonia and other common diseases can be prevented, yet vaccination rates remain low in the United States. According to CDC estimates, flu costs the U.S. about $87 billion annually in health costs and productivity losses. In the wake of a public health emergency, local and national health authorities need to be able to effectively communicate with the public and persuade people to get vaccinated. For this reason, ORAU and the University of Georgia (UGA) partnered in 2017 to study the use of virtual reality and eye-tracking technologies to improve adult vaccine communication and education. First, virtual reality technology was used to create and deliver a three-dimensional, vivid, vaccine education-related user experience. ORAU and UGA also used eye-tracking technology to measure participants’ visual attention to vaccination education materials. 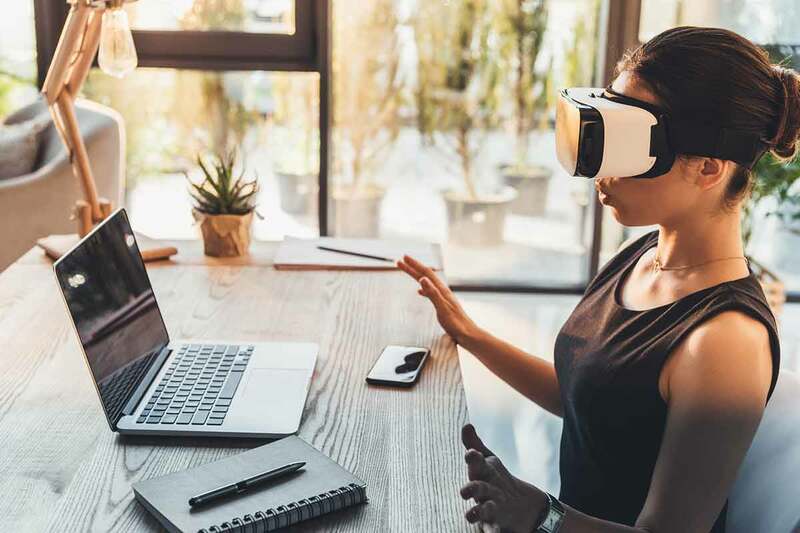 With eye-tracking technology, researchers can evaluate the type of content a person chooses to look at and which content the subject views the longest. The study began in summer 2017 and continued into 2018. It helped to determine how to strengthen vaccine-related health communication through material content, design and public presentations.